Sello 'Chicco' Twala had by the late 80's dethroned Sipho 'Hotstix' Mabuse as the undisputed champion of the bubblegum sound. Although critics assume the mantle "bubblegum" denotes a degree of disposability, the genius behind it that for all its sweetness it never excluded overtly political sentiment. "Soldier" is a CLASSIC album. The title track was a hit that remains in the collective consciousness. 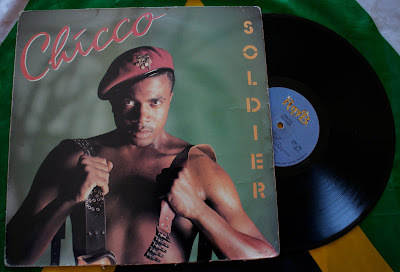 Although Chicco's most famous composition, "Miss you Manelo", an ode to the soon-to-be released president-in-waiting Nelson Mandela, isn't included on this album, references to "Manelo" can be heard on another track, "Living in Exile". Also includes a bubblegum cover of Fela's "Lady" - a homage to pan-africanism in the face of apartheid isolation. 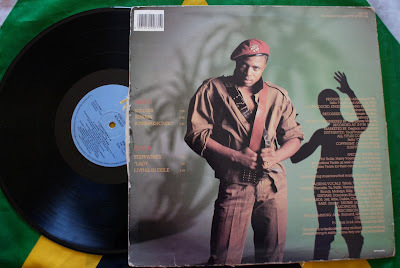 "Miss you Manelo" was included was on the international version of the album, renamed "Soldier Without a Gun" (Philips, PG 281).